Stainer’s Crucifixion at Thorpe Market Church – Come and Sing! “The Crucifixion” by John Stainer. 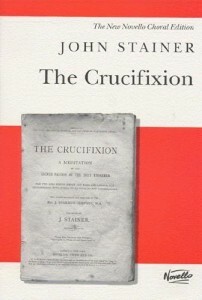 Stainer’s “The Crucifixion” will take place on Good Friday the 19th April 2019 at St Margaret’s Church in Thorpe Market. The rehearsal will begin at 3pm with a break between the rehearsal and the performance, which will take place at 6.30pm. There is no charge for taking part. If you are familiar with this work and would like to join the choir for this occasion, please contact cantamussingers@gmail.com to confirm your attendance at the workshop and to reserve your score. Conductor Alan Morris and organist Geoffrey Hunter. John Stainer (1840-1901) was an English composer and organist, including at St. Pauls Cathedral, London. His oratorio “The Crucifixion” is amongst the most popular of all English choral works and portrays the events of Good Friday. Scored for Tenor and Bass soloists, mixed choir and organ, this meditational oratorio contains recitatives, solos, rousing choruses and congregational hymns. The centrepiece is the evocative anthem “God so loved the world”. The first ever performance of this work was at Marylebone Church in 1887. It is an oratorio that has stood the test of time and has been regularly sung at churches during Passiontide. 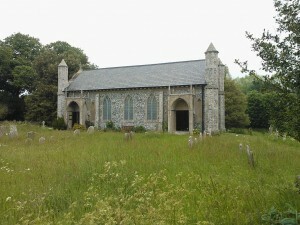 It was first sung at St. Margaret’s Thorpe Market in 1997. This entry was posted in Uncategorized on March 19, 2019 by tmwebsite.